Santa will make an early stop in Decorah as Luther College celebrates "Christmas in the Union" from 4:30 to 6 p.m., Wednesday, Dec. 5, in the lobby of Dahl Centennial Union on the Luther campus. This family-oriented event is open to the public with no charge for admission. 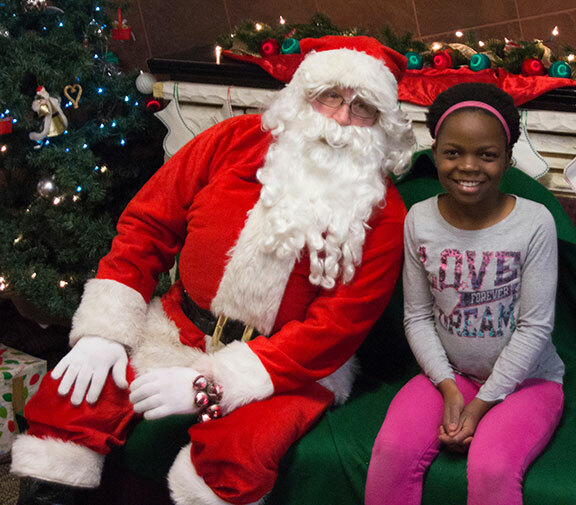 Activities include crafts, readings from children's holiday books, music and games, and an opportunity for pictures with Santa by the fireplace from 5 to 6 p.m. Cookies and hot chocolate will be served. The Luther Book Shop will have Santa's "Naughty or Nice" list available for signing and popcorn available throughout the day for those who stop by. Luther Dining Services will conclude the day of Christmas festivities by serving a holiday dinner of ham, turkey and all the fixings in the Luther cafeteria from 5 to 7:30 p.m. The cost is $11.50 for adults, $5.50 for children ages 5-10, with no charge for children under five. "Christmas in the Union" is sponsored by the Luther Book Shop, the Student Activities Council Special Events Committee, Dining Services, Luther College PALS and the Luther Student Education Association.